I have a confession to make: I’m fairly new to the highlighting world. Only since Christmas since I got the Sleek Solstice palette in their Box of Tricks have I actually been glowing. 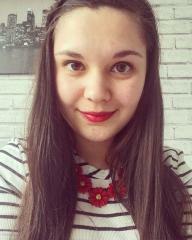 I won’t lie, I don’t use it every day because my make-up routine is pretty simple and quick. When I have a little more time, I opt for a subtle glow. I’ve been using that Solstice power for a while and decided it was time for a change. 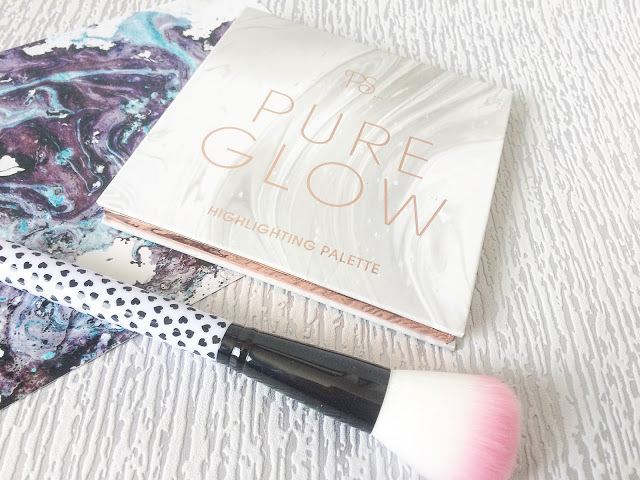 After scouring social media, I saw that Primark was releasing a brand new highlighting palette. 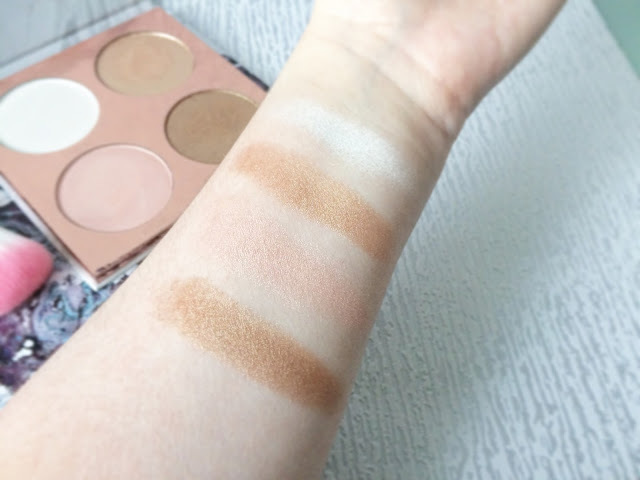 Now I’ve tried a few of their make-up items before and have always felt indifferent about them but I’m the type of person who gives every brand a chance more than once so off I went to my local Primarni on a mission to find this palette. For £5, I can tell you it certainly looks pretty. 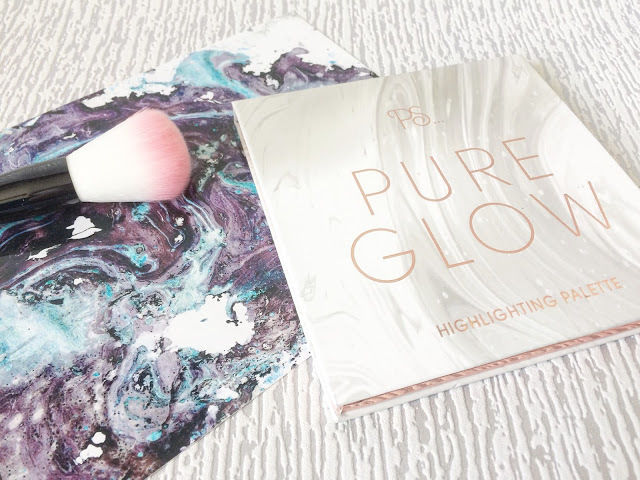 The marble packaging is oh-so blogger-friendly as does the rose gold inner case. There’s a magnet inside so it keeps the powders firmly inside. I will admit, I had to scour the shelf for a palette that wasn’t damaged. I’m not sure how well they have been transported to the stores but definitely make sure you check the insides! I might have undone the sellotape so I could peek inside first! Now onto the highlighters themselves. 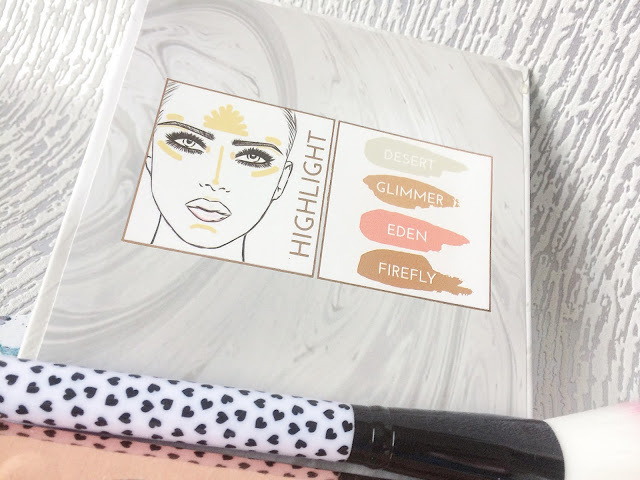 There are four gorgeous shades inside; Desert (a pearly white), Glimmer (a shimmery gold), Eden (a rosy pink) and Firefly (a shimmery bronze). I think it’s quite a wide range of shades for the average palette. 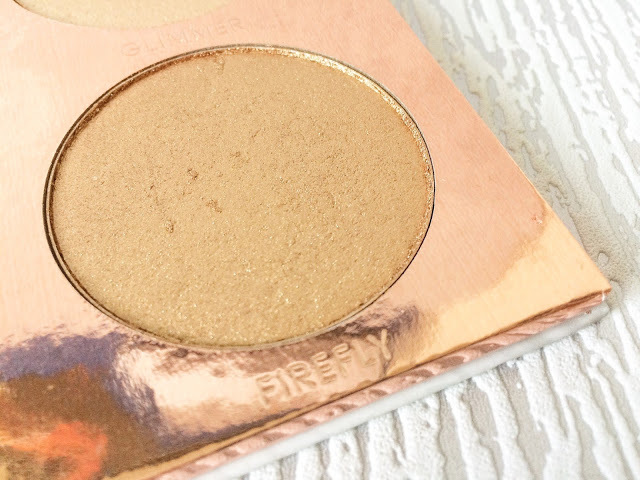 At first glance, Glimmer and Firefly look fairly similar but you’ll see later on, the swatches do look different. 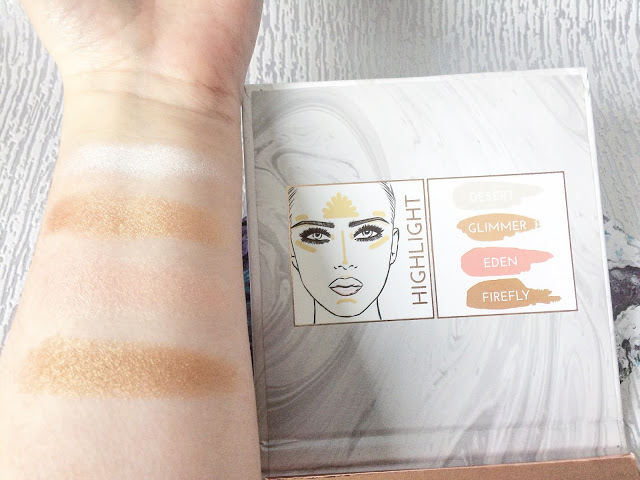 I’m not sure this would be a great palette for super pale skin; I doubt they’d get much use out of either of the darker shades! 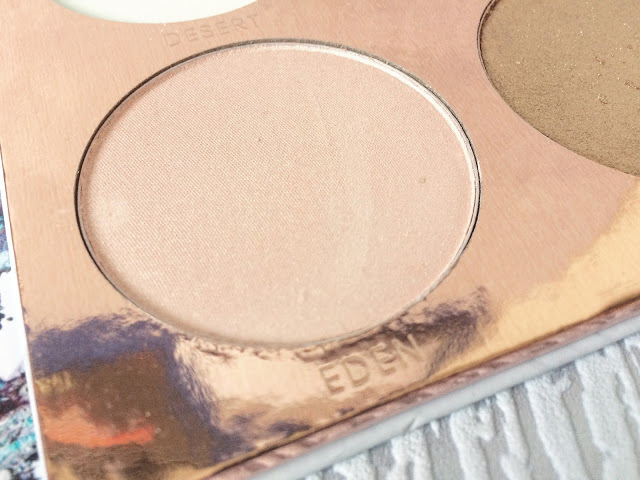 However, for everyone else, you won’t believe how pigmented these shades are! 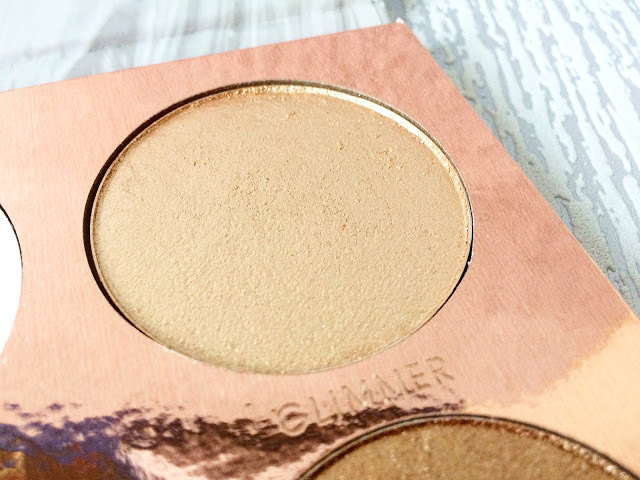 The powders are super soft and really easy to glide on. 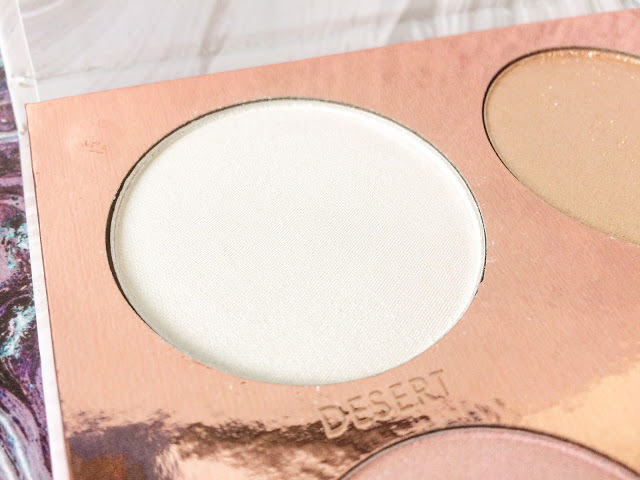 You can easily build up these shades from subtle glow to full-on glow mode! Now for the swatches. I only applied a couple of layers for each shade just to show you all how you can layer them up. I’d say Eden is my favourite shade so far! I’ll probably use the two bronze shades as eyeshadows because of my pale skin. Overall, I’m super impressed with this palette. £5 is incredibly reasonable for a palette and its quality is much better than I expected. I might now be tempted to try more of their range as I think it may have improved since the previous offerings! 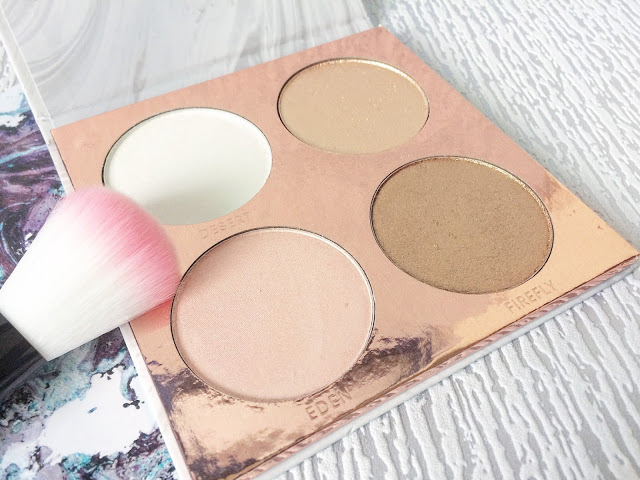 Have you got any Primark PS products in your make-up bag? Leave me a comment below!